The context: moving from managing GRC in silos onto a federated approach. Gain incremental visibility across departments with OXIAL GRC PERFORMANCE. Built on the same platform as OXIAL GRC EXPRESS, this solution allows for more customisation of GRC Modules Audit Control and Audit. It enables organisations to free up resources that might finding increasing difficult with the manual document handling and get stuck in the continuous barrage found the GRC management as well as regulatory and business change. That’s why we recommend OXIAL GRC PERFORMANCE for those who need to get a better visibility and connectivity between Risk, Audit and Internal Control departments. 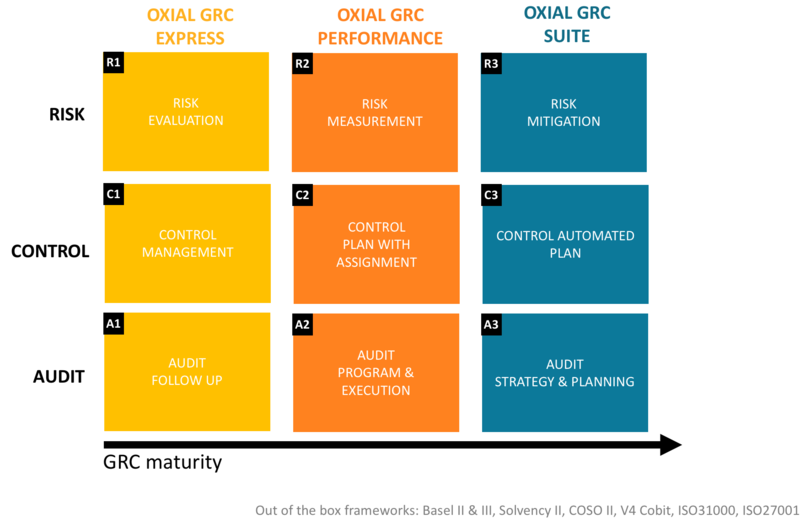 OXIAL GRC PERFORMANCE is GRC in a nutshell, providing all the main GRC functionality combined on a customisable platform. Designed for customers looking for an adapted solution with a certain degree of personalised approach to the deployment and solution design. 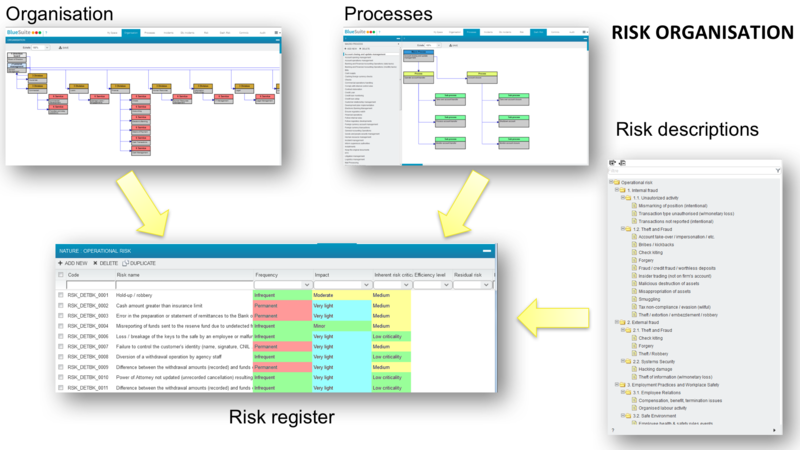 Gives your organisation a real-time and integrated view of all risks. Establishes a common taxonomy across the company via the shared libraries of definitions. Harmonises controls reducing duplication of effort and overheads. Measures and quantifies risks, informing decisions regarding risk transfer and insurance. Provides guidance from end-to-end on how to manage related risks control and audits. Integrates with the overall risk and compliance structures within the enterprise. Generate up to 70% saving in time and effort when using existing tools to address business risks. Reduces the control workload by 25% and also the control incidents by up to 70%.